In just its fourth box office weekend, Black Panther has become the first superhero origin story to hit $1 billion at the box office. 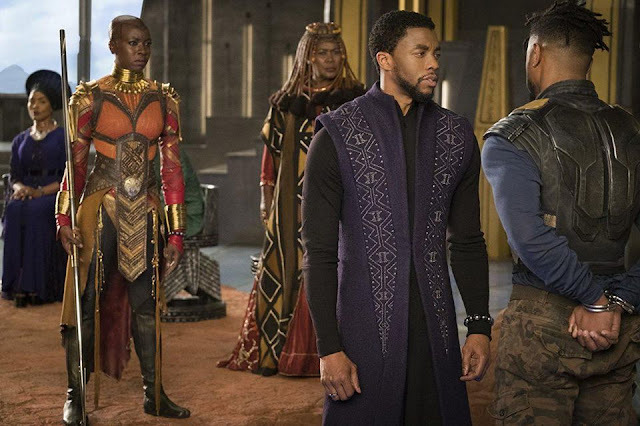 Black Panther is the 16th Disney film to reach the billion-dollar milestone, and the fifth Marvel universe film to do so after The Avengers, Avengers: Age of Ultron, Iron Man 3, and Captain America: Civil War. Disney said Saturday they expect Black Panther to surpass $500 million in international takings this weekend "bolstered by an impressive debut in its final market, China." And while Black Panther has easily shattered the domestic record for highest-grossing film from a black director, it would still need nearly $200 million more to beat the international gross for F Gary Gray's The Fate Of The Furious.